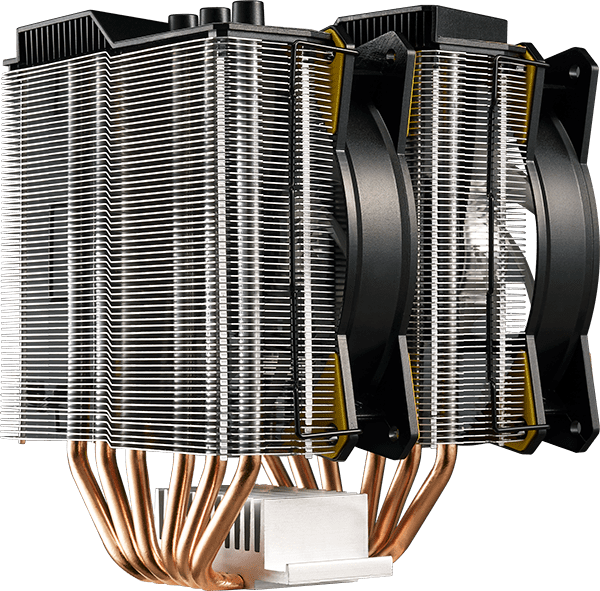 The MA620P, a dual-tower, dual-fan cooler with Cooler Master's CDC 2.0 technology, is engineered to maximized thermal dissippation for TUF Gaming systems. Customize the lighting through the ASUS Aura Sync software or with the remote included. 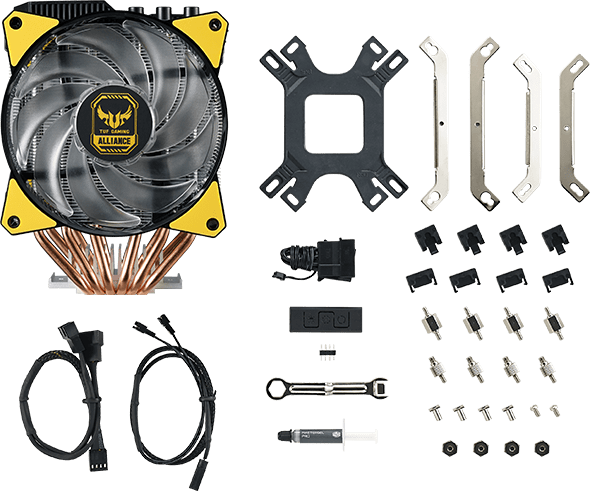 The 2 x MasterFan MF120R RGB accelerates removal of heat with the 'Push and Pull' design with special placements at the front and inbetween the tower heatsinks. 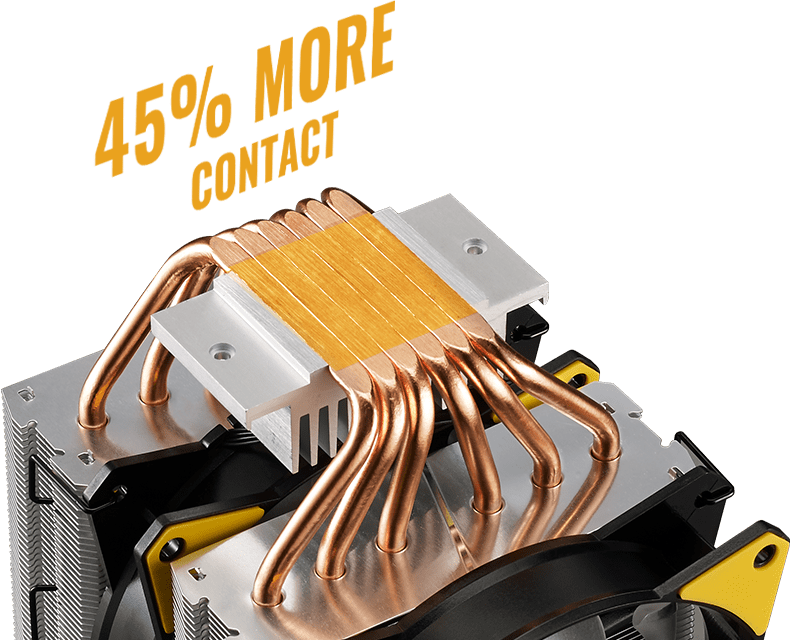 Airflow is quickly passed through and accelerated with the additional fan. Adjust the RGB lighiting with the motherboard software or use the included wired RGB LED controller to personalize the RGB lighting. Switch it up depending on your mood, the possibilities are endless.